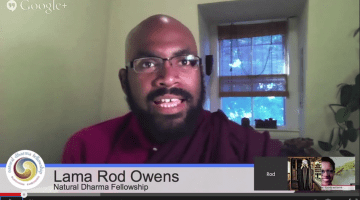 African-American and queer Buddhist teachers Rev. 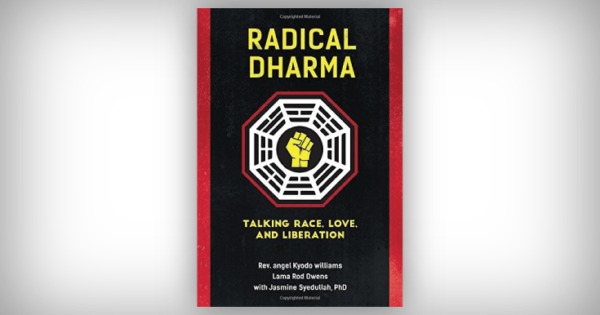 angel Kyodo williams and Lama Rod Owens, with Professor Jasmine Syedullah, have brought their brilliant minds and courageous hearts together in their book Radical Dharma: Talking Race, Love, and Liberation (North Atlantic Books). They have also included the voices of other liberation-minded Buddhist practitioners, engaging them in conversations about what it should mean to practice Buddhism while bearing witness to police killings and mass incarcerations of Black people in the U.S. This combination of intersecting identities, talking in trialogue and in face-to-face conversations with complete strangers, makes Radical Dharma an unusual and fierce read. The combination of authors’ essays interspersed with discussion-transcript excerpts gives the book an experiential and experimental feel. (The authors also draw on the wisdom and inspiration of non-Buddhist African Americans, like gay novelist James Baldwin and lesbian poet Audre Lorde, who have contributed to the shaping of the liberation consciousness of Black people in the U.S.) Being that the format disrupts linear thought processes, slow and careful reading and reflection are recommended. 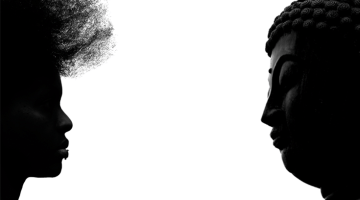 The authors’ realizations and engaged conversation practices are invitations to return to a Buddhism perhaps not unlike that which confronted the Brahmic caste system and empowered the oppressed, or the Buddhism that early Buddhist women utilized to confront Buddhist men about their patriarchy. This dharma-as-empowerment view also brings to mind the early Buddhist women who professed the realization of queerness (no male, no female) as a transcendent state of being. When viewed in these ways, the words “radical” and “dharma” are redundant. williams, Owens, and Syedullah have shown that true liberation is not a solitary, meditative experience, but an active and ongoing process achieved with meditation, realization, conversation, witnessing, advocating, and reviving Buddhist humanism. 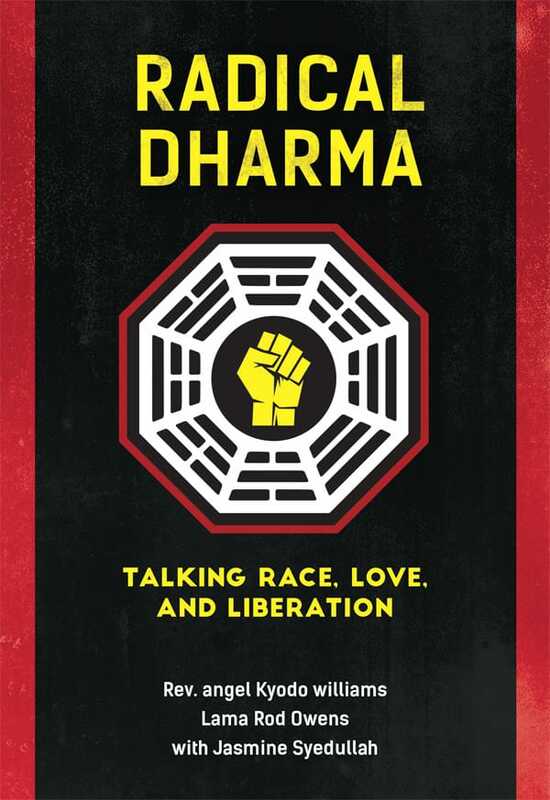 With the increasingly visibility and awareness of police brutality, mass-incarceration, and white supremacists, and the backlashes (I can’t help but think of slavemasters’ whips hitting Black bodies) against Black people today who speak on freedom, Radical Dharma is a must-read for Buddhist-sympathetic readers who want to open their hearts, and their mouths, so that they can help radically transform our sanghas and communities. 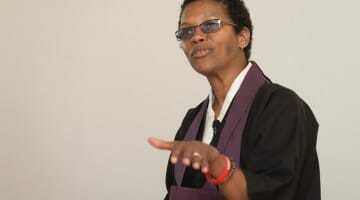 Pamela Ayo Yetunde, TH.D., is a pastoral counselor and community dharma leader in the Insight Meditation community.